On Superbowl Sunday, people in the U.S. consume more food than any other day except Thanksgiving. By some estimates, almost 60 percent will have cheese on the menu. Pizza, nachos, cheese spreads and dips, cheese fries, Philly cheese steak sandwiches as well as chunks and slices of Swiss, cheddar, Camembert and more will be served on that day. It might as well be called Cheese Bowl Sunday. To help celebrate this Sunday's cheese fest, the American Chemical Society (ACS), the world's largest scientific society, released a video today on the chemistry behind what American literati Clifton Fadiman once described as "milk's leap toward immortality." 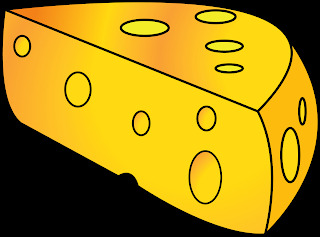 What better venue for a video on the Chemistry of Cheese than the Center for Dairy Research at the University of Wisconsin in Madison, in a state that produces 35 percent of the country's cheese and where license plates proclaim "America's Dairyland." Featured in the video is the land-grant university's "Big Cheese," John Lucey, Ph.D., director of the Center for Dairy Research. Lucey explains in non-technical language how cheese makers leverage chemistry to transform milk into cheese. It involves special "starter cultures" of microbes that convert lactose, or "milk sugar;" into lactic acid; enzymes that "clot" milk proteins into a gel; separation of the solid curds from the watery whey and other steps. Lucey explains how food scientists use analytical chemistry techniques to test the levels of fat, protein and flavor compounds in cheese to ensure a tasty, nutritious product. Like the New England Patriots and New York Giants teams on the TV screen, cheese also has to pass "performance tests" — not for its time on the 40-yard dash, but to ensure that cheese has the perfect amount of melt and stretch for those Super Bowl XLVI pizzas and other treats.